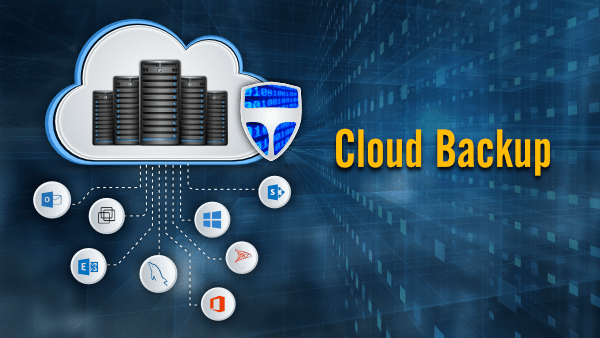 Vembu offers highly scalable cloud backup solution, ideal to protect the business critical data. It is an end-to-end affordable, next-generation cloud backup that allows you to choose the best backup strategy for your company’s evolving needs. Vembu OnlineBackup makes sure all your business data is securely backed up to the highly durable Vembu Cloud hosted in Amazon Web Services infrastructure. Vembu OnlineBackup offers an affordable cloud backup solution to small and medium-sized business. Backs up changed blocks alone – Only changed blocks of the modified files are backed up to Vembu Cloud during incremental backups. Continue where it left off – Keeps track at the block level of data that has been already uploaded. In case of an interruption in the connectivity to the Vembu Cloud server, Vembu OnlineBackup agent automatically resumes its backup exactly from where it left off, once the connectivity to the backup server is established. Flexible retention policies – Retention policies for the backup data can be configured based on the number of versions and based on the age of the version files. Separate retention policies can be set for deleting files and folders. Backup network and NAS drives – Backup files from any external drives – mapped network drives, NAS drives etc. As long as the user is able to access the files from any of these sources, Vembu OnlineBackup will also be able to back them up. End-to-end encryption – Backup data is encrypted before leaving the source machine and stored in encrypted format in Vembu Cloud. So, the backup data is encrypted at-fly and at-rest. Restore Anytime, Anywhere – Restore your backed up application data and files anytime, anywhere from Vembu Cloud console. HIPAA and Other compliance – Vembu Cloud complies to the industry-recognized certifications and audits such as PCI DSS Level 1, ISO 27001, FISMA Moderate, HIPAA, and SAS 70 Type II in safely processing, storing and securing data.